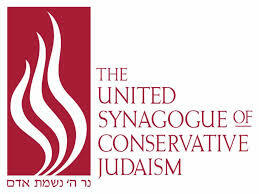 USY is the youth movement of the United Synagogue of Conservative Judaism. The goal of USY is the bring Jewish teens closer to Judaism and Israel through learning and social interaction. USY is open to all high school aged students. USY offers a variety of programs throughout the year including trips to Israel and around the United States. Kadima is the international youth organization for Jewish pre-teens. Sponsored by the United Synagogue of Conservative Judaism, Kadima offers programs through your local Conservative congregation. Kadima is open to all 6th-8th graders. What is the difference between a chapter, divisional, and regional event? Our chapter is Nanuet Hebrew Center. When we have an event marked as a chapter event on our calendar our event is organized and run for members of our own chapter. USY and Kadima members are welcome to invite members of other chapters as well as non-members to chapter events. Our division is called “EMEK.” The Emek division includes chapters from Orange, Rockland, and Westchester counties. The Emek division consists of roughly 400 USY members and 200 Kadima members. Emek division belongs to the larger METNY region. METNY region encompasses the greater New York metro area. 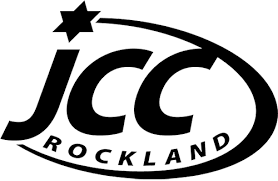 What types of things do you do in USY and Kadima? Whether you’re interested in sports, the theater, meeting new friends, hanging out with friends from summer camp, or doing community service projects there’s something for everyone in USY and Kadima. Some of our highlights from the past year include a New York Knicks game, snow tubing at Campgaw Mountain, volunteering to set up Sukkahs around the community, baking and serving latkes to the elderly at Northern Manor, and weekend overnights around the New York metro area. How do I join USY or Kadima? It’s so easy to join our youth group and we don’t require that your family be affiliated with Nanuet Hebrew Center. We welcome any Jewish 6th-12th grader into our youth group programs. The first thing to do is to download a copy of our membership application along with a calendar of events for the year from our USY & Kadima Youth page on the Nanuet Hebrew Center Website. You can also stop by the Nanuet Hebrew Center office where they have copies of our membership application. Once you turn in your application and dues you are officially a member and can participate in all chapter, divisional, and regional programs. What is a Kinnus / Shabbaton? Twice a year our division holds Kinnusim. A Kinnus is a weekend long event at a temple in our division. During a Kinnus USYers hang out and celebrate Shabbat. There are services, meals, discussion groups, social action activities, Israel programs, and a dance on Saturday night. Kadima also offers a shorter overnight program. This program is called a Shabbaton. Encampment is an 8 day long summer camp run by METNY USY. Encampment takes place at Camp Ramah in the Berkshires during the last week of August. METNY Encampment is open to all kids entering 6th through 12th grades. Encampment gives teens the chance to spend a week with other Jewish kids from around our area. They play sports, learn about Judaism, make new friends, and experience a USY shabbat. They squeeze a month long summer camp experience into one amazing week! Please click here to visit NHC’s USY & Kadima Youth Web Page. Please click here for our latest Weekly Announcements. How May We Serve You? Please click here for our convenient form if you wish to make a donation, be contacted regarding affiliation, or most any other special request. Please click here to sign up for our weekly e-mail newsletter. NHC in the News ... Please click here for an interesting article from LoHud / Journal News detailing NHC’s open and welcoming Self Directed [Voluntary Commitment] Pledge Model.